CX Programmer is PLC programming software which is used to program all Omron PLC's. 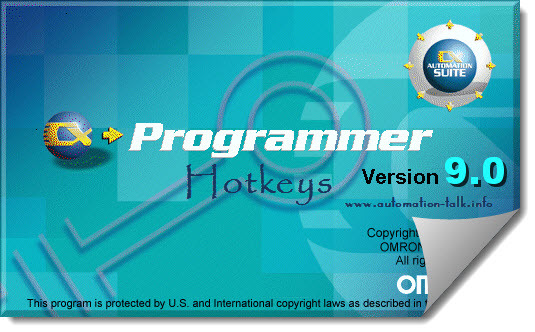 CX programmer is a easy to use and comes with many handy shortcuts which can really save your lot of time. For an example most common shortcut is alphabet "C" which brings you the NO type of contact when press while making the ladder program in any rung. Subscribe to Automation-Talk by Email. Below are some of the most common and widely used CX Programmer shortcut keys. Below hotkeys are not case sensitive. 1. While in Simulation mode of CX Programmer, click CTRL+JKL to quickly on, off & cancel force on go. 2. Press SPACE KEY while you have selected any bit, it will find all related bit's. 3. Press CTRL+SHIFT+W key activate simulator mode in CX Programmer. 4. Other general shortcut key like copy, cut, paste also work in CX Programmer. When using the (B) for previous jump...how does this function work? Still don't understand. Please explain. Its just a shortcut key to go to previous jump point. You can also use menu option as "Edit>>Go To>>Previous Jump Point. Yes, you need CX-one drivers.